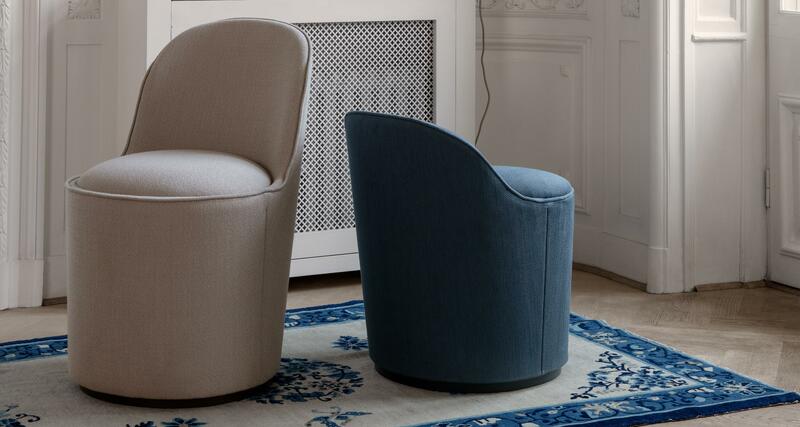 Designed by award-winning duo GamFratesi, the Gubi Tail Lounge Chair Low Back holds a playful nature, with its rounded back resembling the spectacular form of a peacock tail. It reflects the combination of Italian playfulness, sculptural and artistic aesthetics and the Danish sense for craftsmanship, detailing and refinement of form. The rounded back of the Tail Lounge Chair is modeled after a peacock tail.